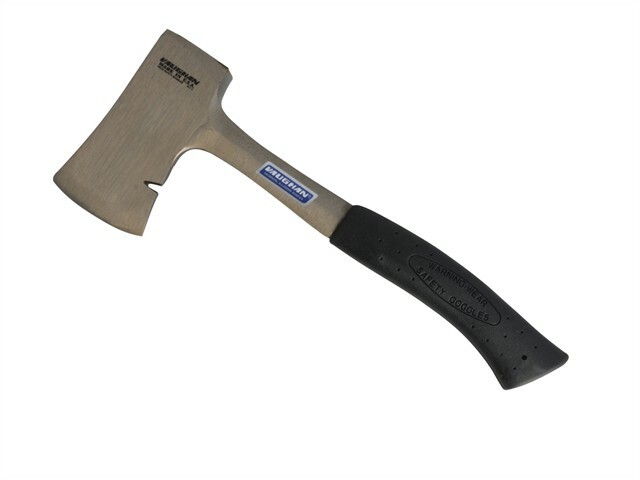 The Vaughan AS114 Camping Axe is made from solid steel with a polished head and handle. It has a flat striking face with bevelled edges and a nail slot in its blade. Its curved handle has a shock-absorbent, slip-resistant grip. Supplied with a durable, fitted sheath.